Delhi 6 is near perfect. Period. If one thought that Slumdog Millionaire, Ghajini and Jaane Tu… Ya Jaane Naa were superb then just listen to Delhi 6 once. 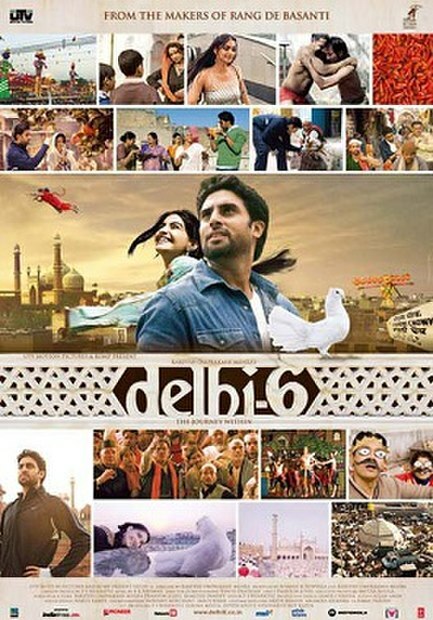 Rahman beats his own score with Delhi 6 which would easily go down as one of his best scores till date. There’s enough inspiration to be found in Delhi’s most celebrated pin code. And as he’s done for so many other landscapes, localities and lanes in the past, Rahman pays Delhi 6 a whopper ode in this swashbuckler of a soundtrack. The musketeers will be envious. The aural splendor of DELHI-6’s score is one that escapes superlatives. Rahman’s varied approach and stylized compositions provide rare insight into the deepest corners of musical nirvana. Yet at the same time, they all carry that special Rahmantic touch that cannot be seen, nor heard…it must be felt.